A summer glow is often a go-to subject come this time of year. Not so much on this blog. I'm pale and that's just fine with me. That said, I can get down with a bit of glow when it comes in the form of a gorgeous highlighter. 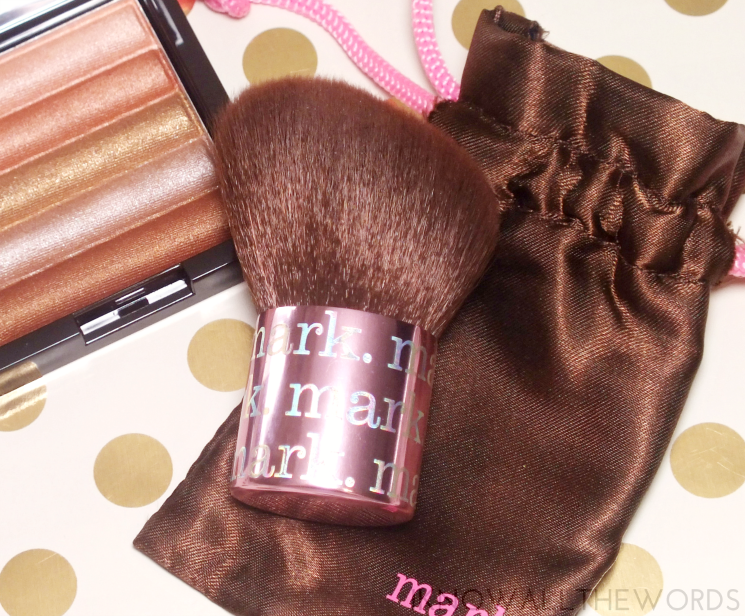 Mark is my most recently glow buddy, with their new Touch & Glow Shimmer Cream Bars All-Over Face Palette. 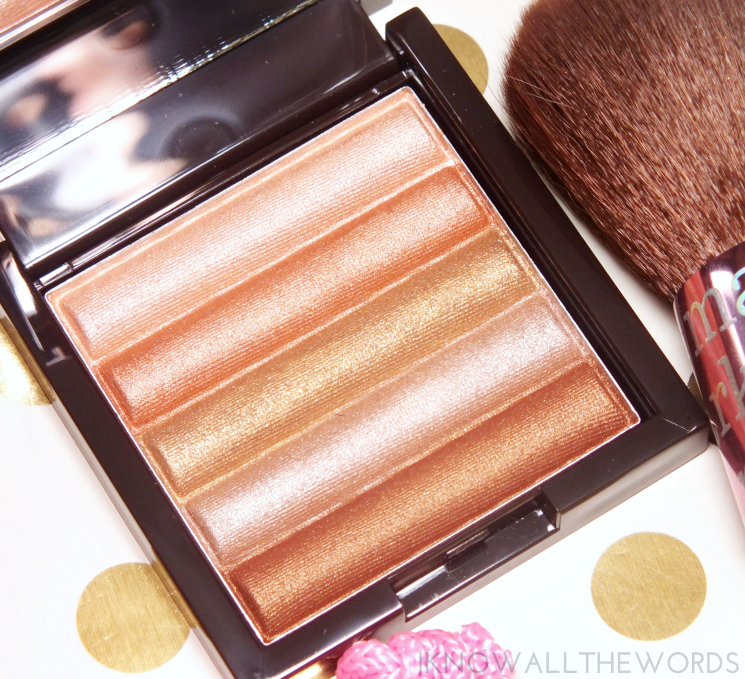 It's a mouthful of a name, but a really amazing highlighter. 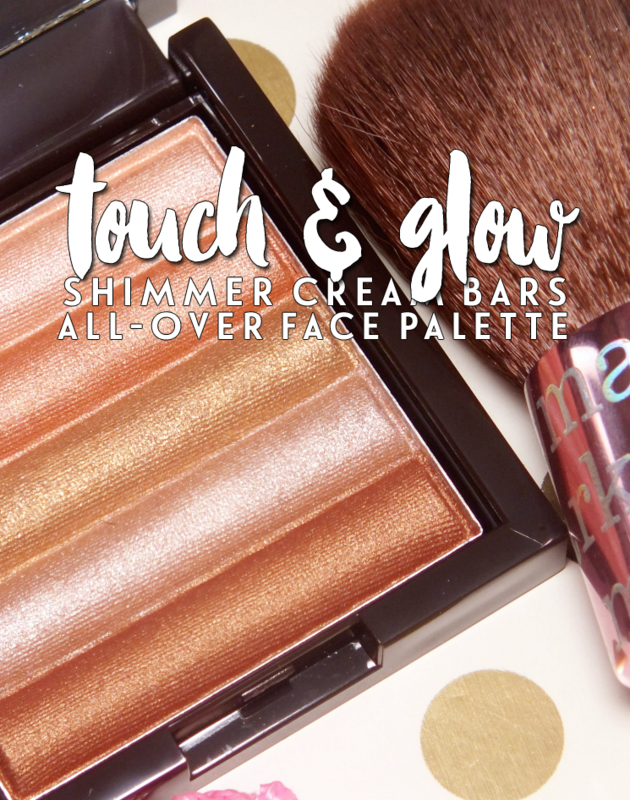 The Touch & Glow Shimmer Cream Bars are a bit different than other shimmer cream palettes Mark is known for (you know, this one) as they've lost the cubes and are on to bars. Shape aside, the formula is pretty similar. the bars have a creamy texture (think powder-cream hybrid) that offer varying amounts of pigment and shimmer. Some shades are lighter hued, with the last shade, a deeper bronze, having the most pop. The creamy texture is pretty easy to apply with a brush- I find it best to just swirl it around- but you can also use a small brush to grab just one shade. The shades work nicely on the face or eyes, but I tend to just use the palette as a highlight. As a highlight, this gives some warmth on my lighter skin tone, but doesn't apply too much pigment or give off an unnatural orange hue. 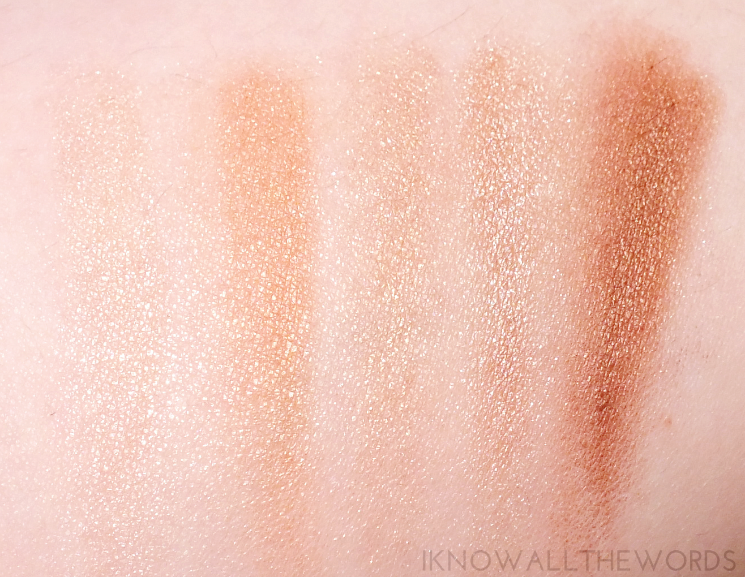 The shimmer is very refined, with no glitter or chunks of anything on the skin. The glow isn't too harsh or overly subtle, but a really happy medium. For application of Touch & Glow, Mark recommends their Angled Kabuki Face Brush. The brush not only has a really cute pink metal with holographic branding, but it also has the softest bristles (like, ever.) The brush picks up the cream-powder pretty well, but the darker shade of the brush does make it tricky to see just how much product you've picked up. This brush is also great for apply blush and powders, and comes with a little satin pouch which is handy if you need a brush for on the go. Overall, this is a pretty great addition to any highlighter stash, especially if you crave a bit of summer glow. I love that it actually does suite paler skint ones (and everyone else.) What do you think? Could you use this in you summer makeup routine?